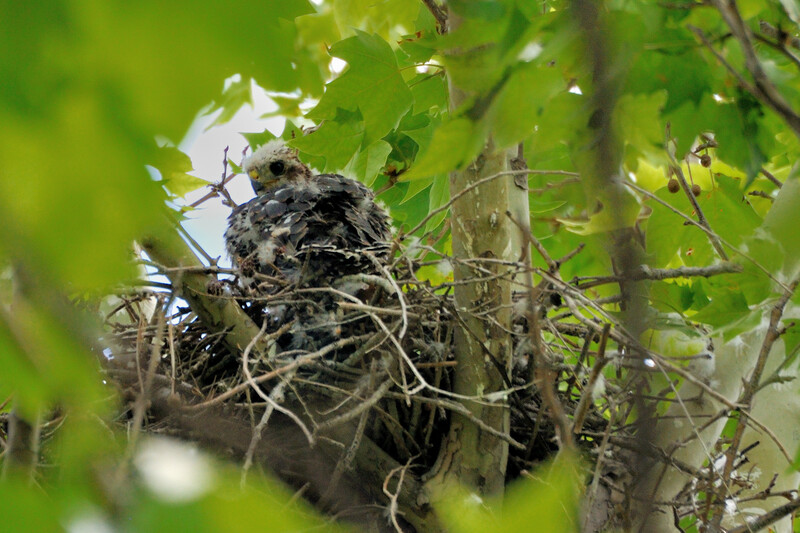 Yesterday, I did a quick round of bird nests to see what progress may have happened since my trip to Illinois. 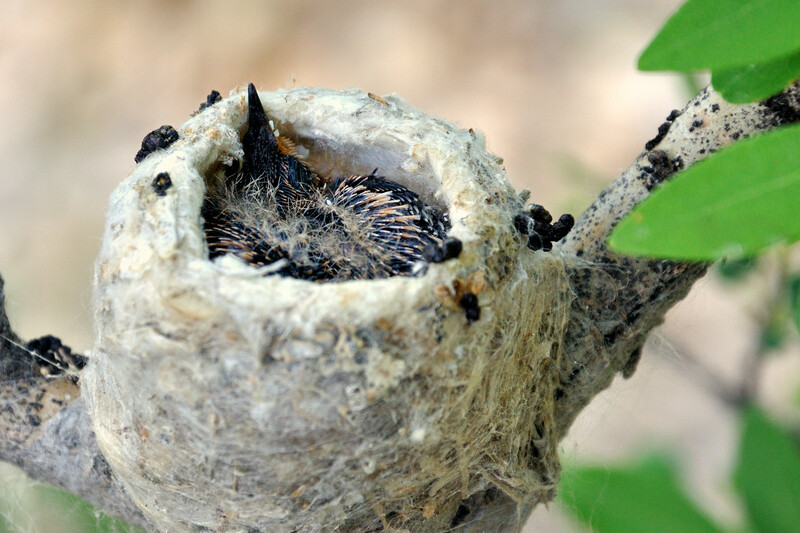 First up was the Black-chinned Hummingbird nest at the Rio Grande Nature Center that had two eggs back on May 22. Looks like at least one hatched and I got this picture of it. Next, I stopped at the Northern Flicker nest I’d seen occupied on May 22, but nobody seemed to be home. 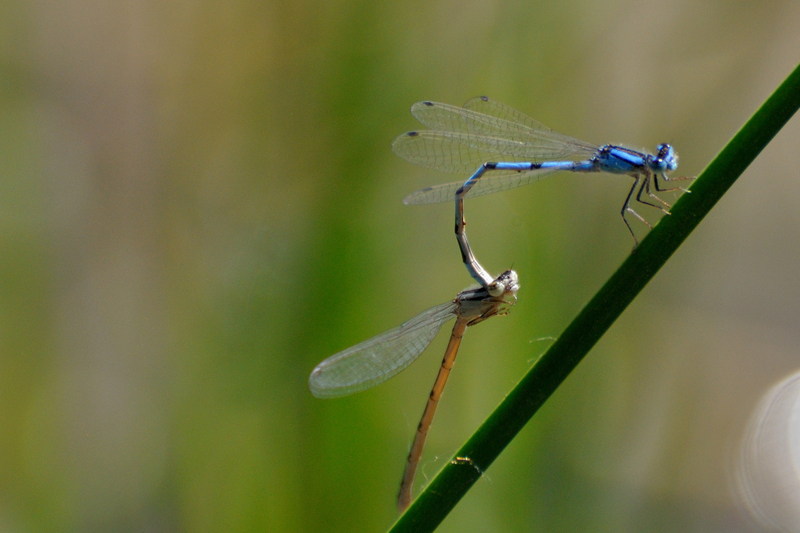 Did get an interesting picture of two bluet damselflies mating, however. Onward to Judy’s Cooper’s Hawk nest, where I couldn’t tell if anything was still going on in the hummingbird nest and didn’t see the older chick that was perched near the nest on June 9. However, the other younger one was a bit more visible this time. This morning, I decided to check out the new Route 66 Open Space area just east of Four Hills. I’d been wanting to visit that area for years (almost bought a house that backed up onto what was then termed a ‘private reserve’). Lovely area full of cottonwoods with a small creek running through it. Saw a Mourning Cloak and a fresh Two-tailed Swallowtail toward the end of my walk. 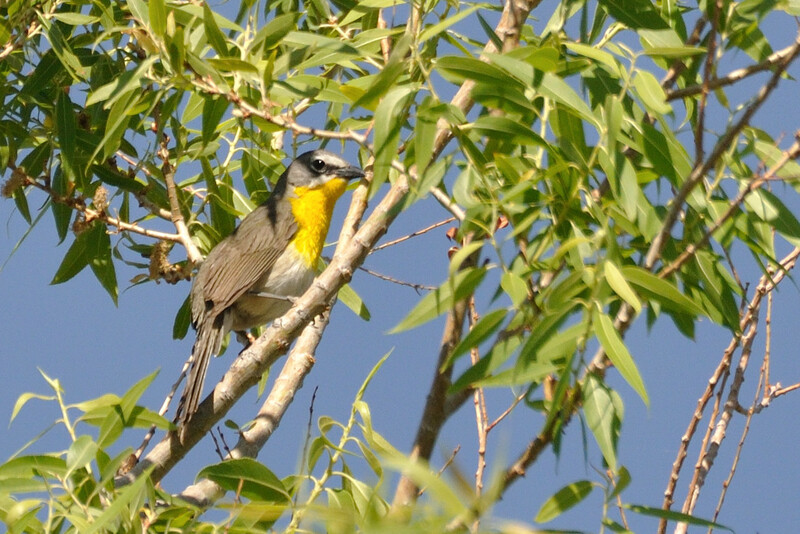 Nice look at a Yellow-breasted Chat, too. But the surprise of the morning at the western end of the Open Space area and located by hearing its surprising daytime call was this guy. 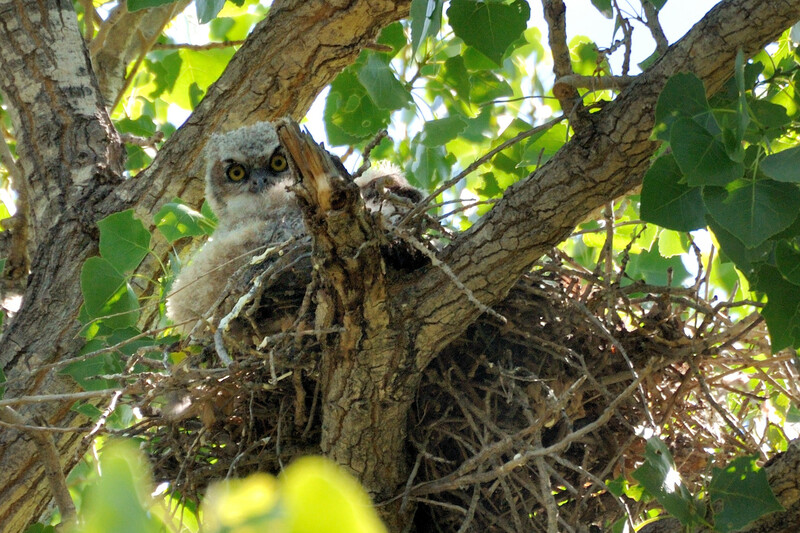 Yep, another Great Horned Owl nest! More than a month since the last one I saw at Quarai, there must not be much traffic in the area as this little one just kept hooting as long as I was in the area. Although I got there a little late around 9 am, this place definitely seems like it deserves another visit soon. 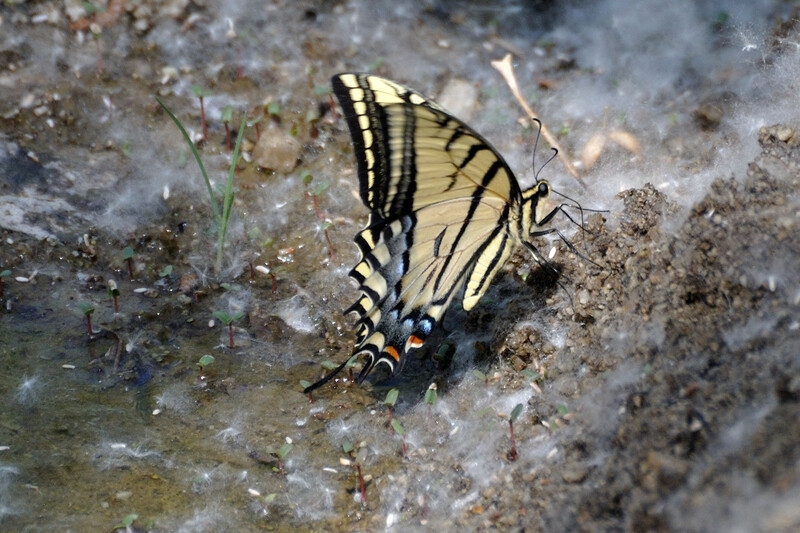 This entry was posted in Birding, Butterfly, Dragonflies. Bookmark the permalink.